The Friday 56 4 Year Memeversary! Our 4 year anniversary is officially December 13th, but it doesn't fall on a Friday. So we celebrate today! It was remarkably easy to disobey Maura. You may only enter if you took part in The Friday 56. All other entries will be deleted. Open to anyone who can accept an AMAZON.COM or AMAZON.CA eBook. Thank you for being a participant and good luck! **No compensation was received for posting. Compensation will be earned if purchases are made from the links within. This is a meme post. This site is responsible for giveaway and prize shipment. No one knows the depth of my love for The Raven Boys. I love this book and this series and these characters. Maggie Stiefvater is genius! I would like to catch up on all her books. I love this cover. I do like ravens and falcons. :) Enjoy. I want to read this series. Sounds good. Have a great weekend! Congratulations on the Meme-versary! I've been told amazing things about that series but I haven't tried it yet. Is it worth a read? Congrats on the four year Memeversary! I picked up a copy of Raven Boys on a kindle sale and am looking forward to reading it. I have to finish off all of the Cybils books first though. I wish I had something more coherent to say but I am fighting off a terrible headache. Hope you feel better soon, Elisa! The Raven Boys is fantastic! I can't wait to read Blue Lily, Lily Blue! 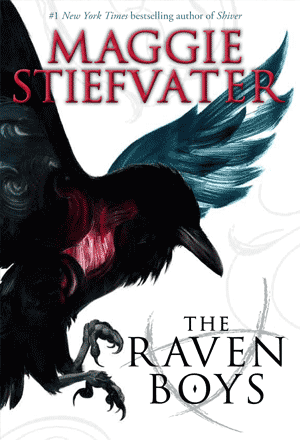 Stiefvater is on my authors to read list! She sounds wonderful and I know so many people love her books! What a fabulous giveaway! Thanks for sharing, and congrats on 4 years. I haven't read The Raven Boys, but I've heard good things about it. Hope you're enjoying the story. Congratulations on your four-year memeversary, and thank you for continuing to host The Friday 56. What a nice giveaway! Congrats on four years of Friday 56 and thanks for the giveaway. Congratulations on the 4-year Memeversary! This sounds like a good book, I'll have to check it out soon. Oh my, has it been 4 years? Congratulations, Freda and thanks for hosting. Hopefully disobeying Maura is a good thing! And I think I might have to check out The Raven Boys. It seems like they are the thing to read right now. I keep hearing and seeing amazing things.